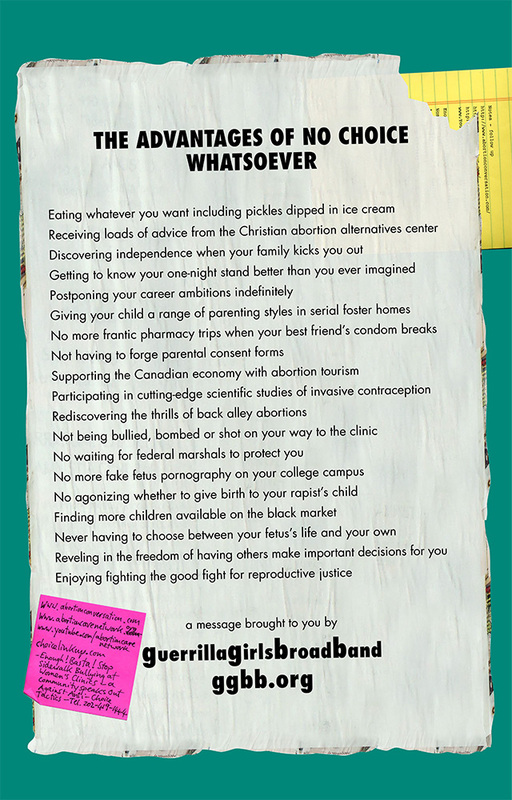 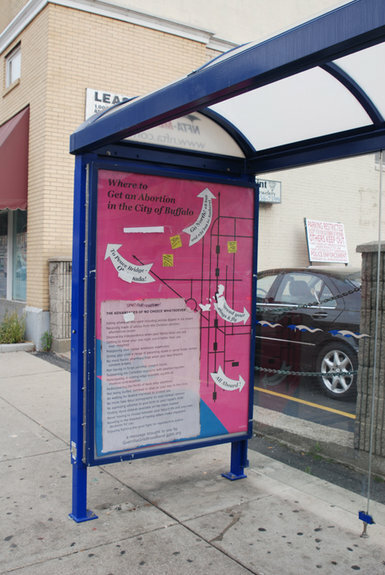 Guerrilla Girls Broadband’s pro-choice Buffalo Bus shelter map/poster incorporates “The Advantages Of No Choice Whatsoever” (see store) and the Buffalo transit map. 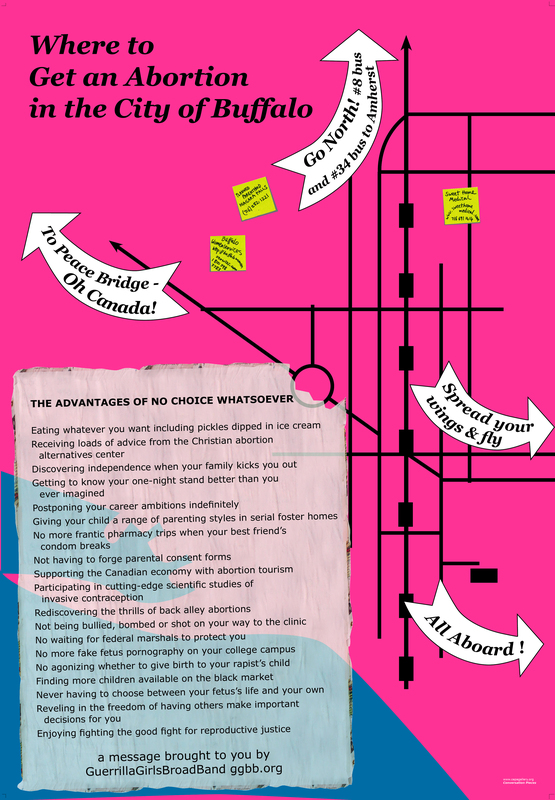 It shows how despite a long history of dedicated abortion providers and support groups standing up to extreme violence and persecution, there are now no clinics in the city itself, so if you need an abortion you need to travel: directions provided in the poster. 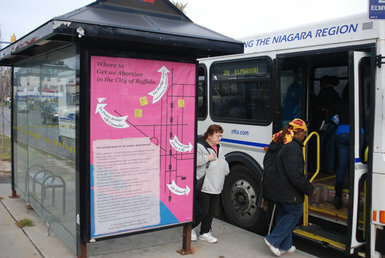 We developed this project for bus shelters throughout Buffalo as part of the 2009 CEPA exhibition "Conversation Pieces".